Get your key FOB reprogrammed or replaced on the spot. Our mobile technicians have the equipment and training to do it all right from their vans. You get a new or reprogrammed key while you wait, even if you’ve lost the original. The most trustworthy locksmith in the 5 boroughs: Among our clients are the NYPD, FDNY and the New York City Sheriff; 5-Star rating in Yelp, Google and Yahoo reviews; all M&D technicians are experienced and licensed (#1346389). 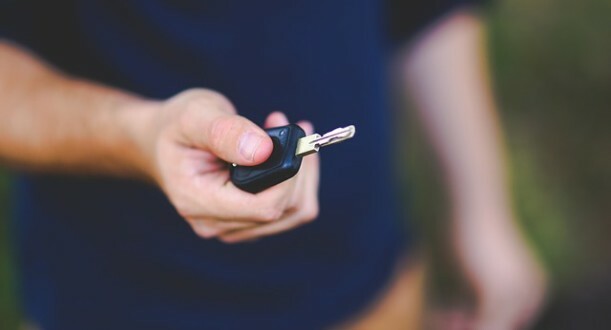 Whether your FOB key is for your car, office or home, we’ll replace or reprogram any digital key system, transponder key, keyless entry unit or electronic locking device. Regardless of the device, call us 24 hours a day. M&D Locks and Keys has all the tools and equipment to reprogram your key FOB or to replace a lost or stolen key on the spot. Our technicians aren’t just key FOB programmers, they’re problem solvers to get you back inside and on your way as soon as possible. All M&D technicians are licensed locksmiths who are fully trained on sophisticated digital locking units and security systems. Our locksmiths are locals as well so when you call us, you don’t get an out-of-state call center, you get a local pro who knows New York City. When the NYPD or Sheriff need to get in, the call M&D Locks and Keys. We’ve worked on all sorts of sophisticated locking systems and get the job done quickly and efficiently. Check out our 5-Star ratings in Yelp and Google Reviews to see what the rest of New York City thinks of M&D Locks and Keys. With clients such as the NYPD, FDNY and the New York City Sheriff you know you can trust the quality and professionalism of the highest customer rated locksmith in the 5 boroughs.